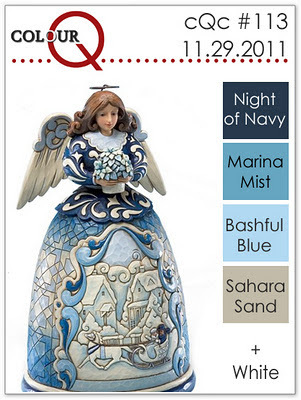 I decided to play along with this weeks Colour Q challenge which includes the beautiful shades of blue shown below. I created a birthday card for my mother-in-law using white as my card base then using Kraft, Blueberry Sky and Spring Rain cardstock for my accents. 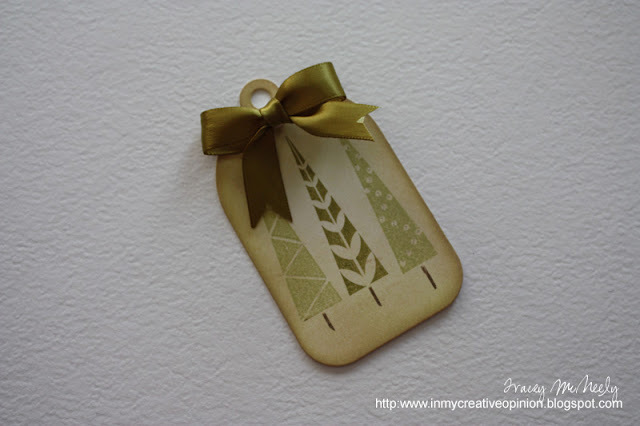 The ribbon was white grosgrain ribbon and lines drawn with Copic Markers B41 and B45. Today I did a scraplift from the wonderful and telented Erin Lincoln. 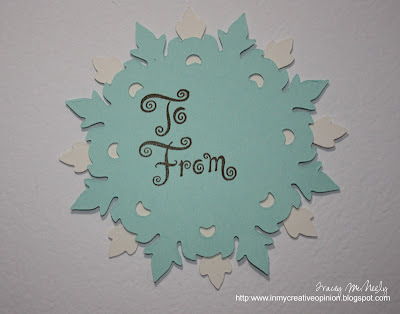 Erin did a tutorial in September on how to make your own chipboard embellishments. 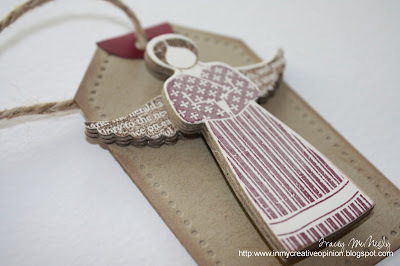 I was so taken with her chipboard angel that I immediately ordered Love Lives Here: Holidays from Papertrey Ink. I created my angel using an Apple Jacks cereal box. I used six layers to create both the angel body and the wings. I pulled out my Xyron 250 Create a Sticker and ran the backs of all the pieces through. All it took was a steady hand and my glasses to quickly put it together. Thanks Erin, I will do this again and again. Here is the tag. Today I am ashamed to admit that I broke open a new stamp set that I purchased four years ago. I remember vividly that I had to have those stamps, you know the feeligng don't you? I wasn't able to locate it anywhere so I ordered it directly from Hero Arts. The shipping and duty cost more than the stamp set. I am as giddy today creating a tag with this set as I was the day they arrived. 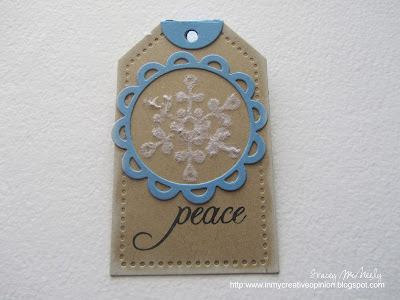 I die cut my Tag Sale 2 using Vintage Cream and I sponged the tag with creamy brown ink and Shabby Shutters. 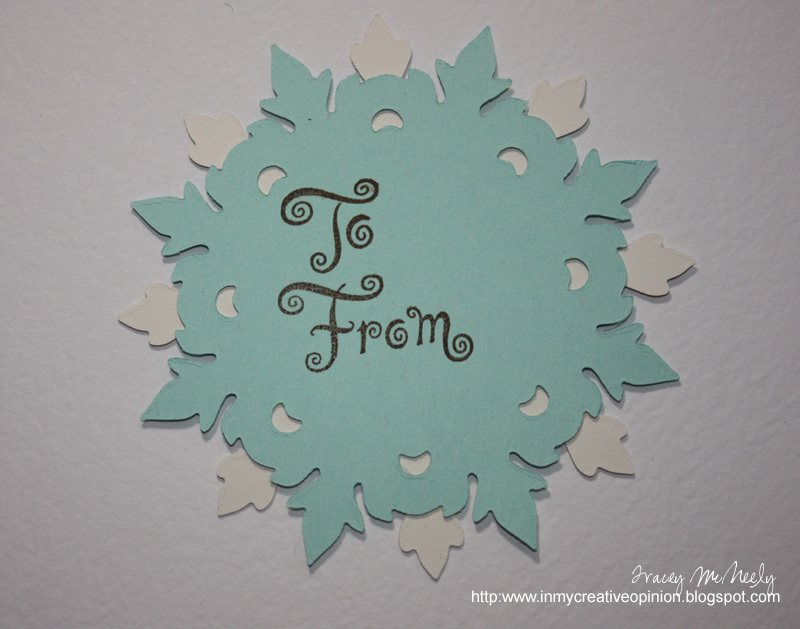 I then stamped the focal image of three trees in Ripe Avocado and Spring Moss. The trees were accented with a glitter pen. Hope you enjoy. 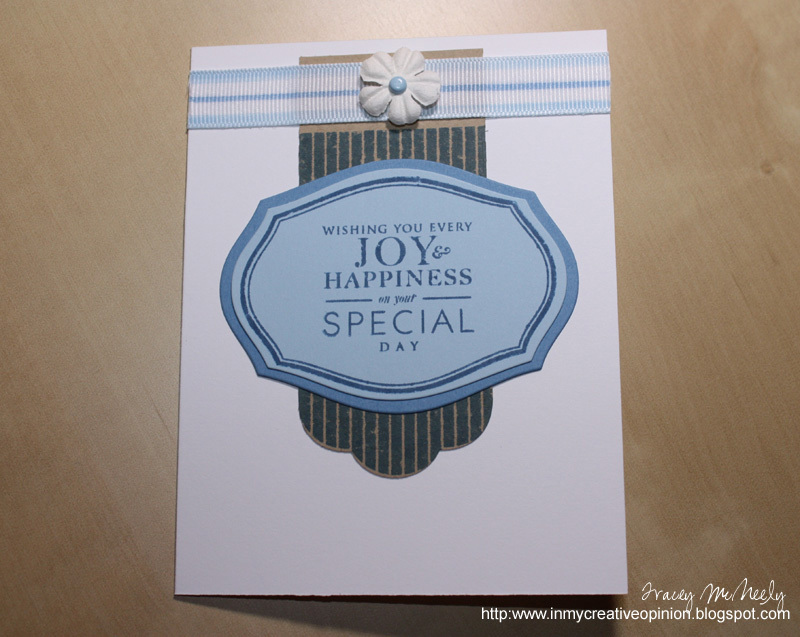 I can`t tell you how enough how much I love the Fillable Frames 9 stamps and dies. Ultra, ultra useful all year round. At Christmas time you can never have enough mini tags. So I made up an assortment of tags and coloured my Tiny Treats images with assorted Copics (love them too). What is not to love about the new Damask Snowflakes die from Papertrey. I started cutting and I kept going. I plan to use these beauties a lot this Christmas for tags and cards and projects. Todays tag uses that cute little Penguin from PTI's Winter Penguins. I cut three tags from Tag Sale 2,one in Hawaiian Shores and the other two white. I used the impression plate on the main Hawaiian Shores Tag then I cute two snow drifts from the white and added glitter to their tops. The penguin was cut and added with a foam dot. Then I stamped the swirl in the sky to emulate the wind that blew off the penguins hat. Hope you enjoyed. This months Papertrey Ink Blog Hop takes on the holidays with the rich and vibrant hues of a traditional Christmas. I jumped head first into the challenge picking my theme, colours and stamp sets right from the get go. The fabulous bough from Love Lives Here Holidays is stamped at the top with Spring Moss and accented with Ripe Avocado then embellished with Pure Poppy berries. I decided on a door from Home Made because of its welcoming feeling and stamped the frame in Versamark. I knew my door needed a wreath and that is why I chose this sentiment. 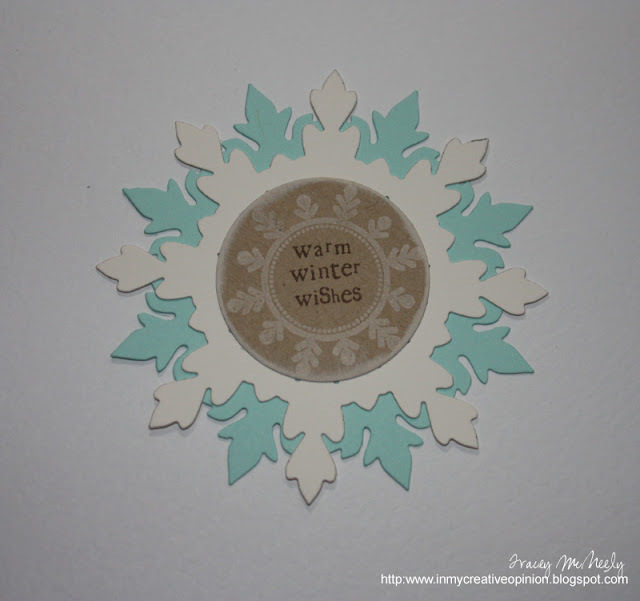 I was having trouble figuring out what to use for my wreath when it hit me that there had to be something suitable in one of the first 10 Flower Fusion stamps and dies. 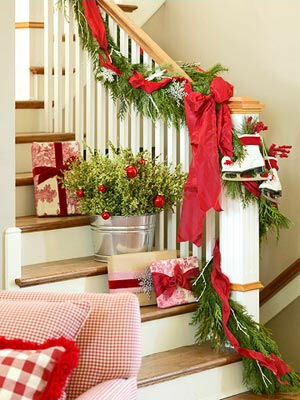 Sure enough #4 was perfect, doesn't it look like a real wreath on the door. A tiny heart in the middle of the wreath tied in with the sentiment and then I applied it to the door with a foam dot! 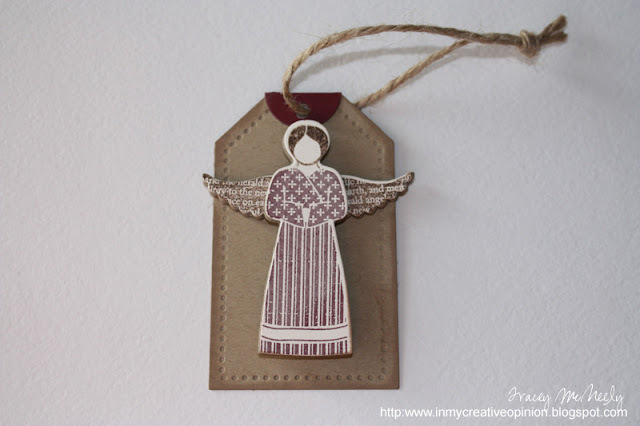 The second part of my blog hop project is the beginning of 25 days of Christmas Tags. 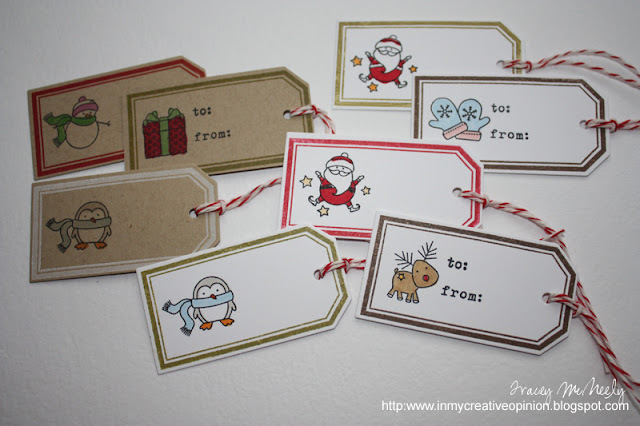 Each day for the next 25 days I will be posting a new Christmas Tag as I get my stash together for this year's Christmas. Come back each day to have a look, I will try to inspire you. 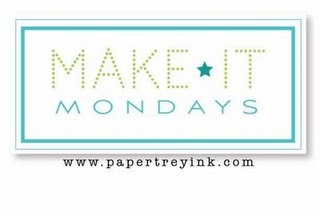 This weeks Make it Monday featured using a glue pad to easily add glitter, shine and flocking to stamped images using a glue pad. Finally a reason to break open the package and give it a go. The pad was surprisingly easy to use, but I ran into some difficulty when trying to glue on to an acrylic surface (my first attempt). I ran into issues with static--so mental note to self, prep the surface first. 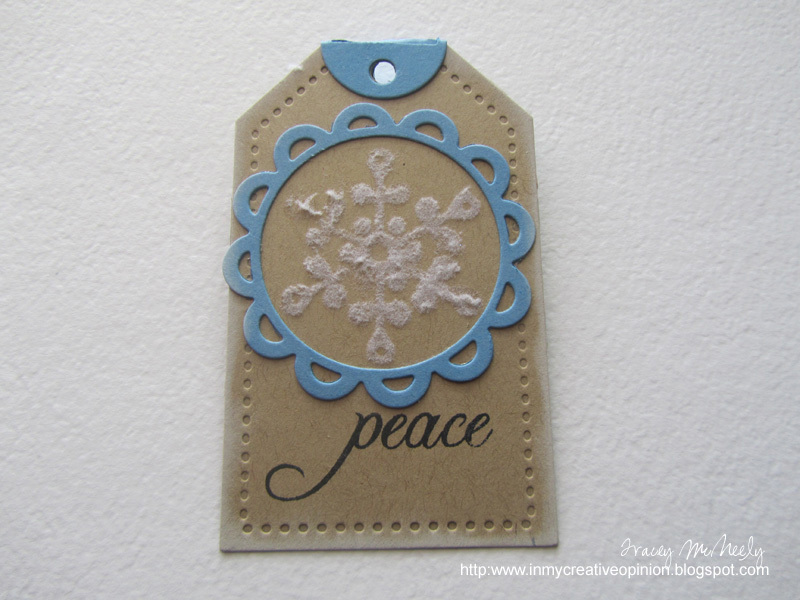 Sond attempt I created a cute little Christmas tag using flock on the snowflake which I think really makes it realistic. Hope you enjoy my project.